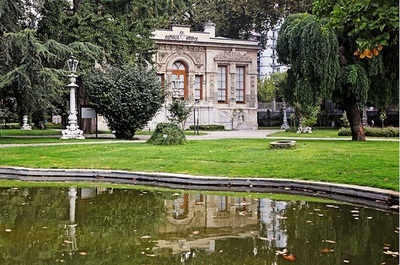 Built by the great architecture, Nikogos Balyan with the order of Ottoman Sultan Abdulmecid as resting, hunting and horseback riding lodge between 1849 and 1855 years, Ihlamur Pavilion is situated in Ihlamur Promenade (Mesire in Turkish) Besiktas, district of Istanbul. Once upon a time, that promenade contained many Ihlamur (lime) Trees. Because of that it takes its name ‘’ Ihlamur’’from here. At the beginning, there were found several vineyards belonging to Hacı Hüseyin Aga. 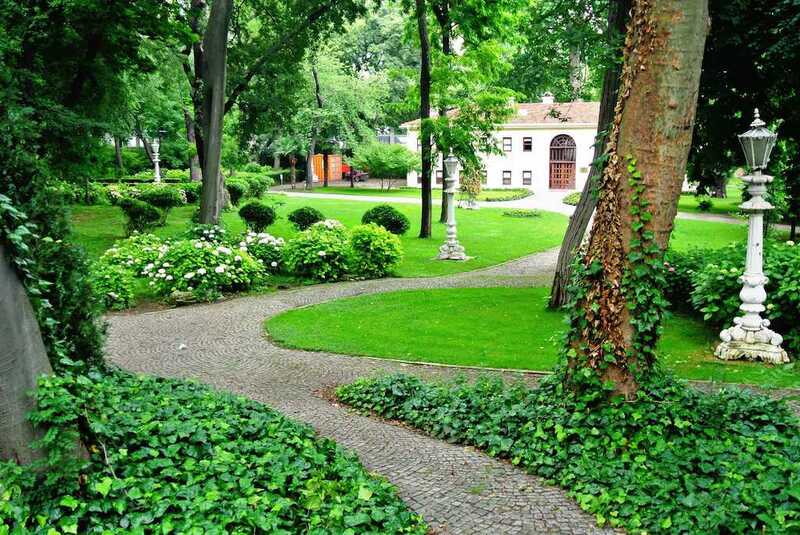 But after, when that place was seized by the government, the field of vineyard was used as Has Bahçe (Sultan’s Garden) and protected. Also the wooden mansion was established here in order to rest and host for the Sultans and upper class people. 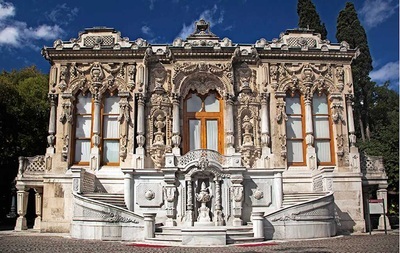 For example that; sometime, used by Ottoman Sultans like Abdulhamid I, Selim III, Mahmut II and Abdulmecid as a relaxation lodge after the horseback riding and shooting arrows, that fascinating structure welcomed even famous French poet Lamartine. 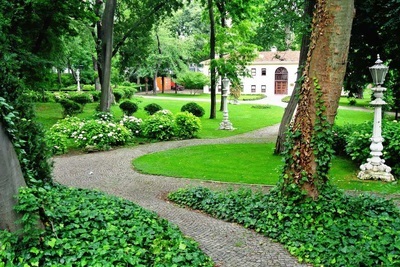 Moreover, Sultan Mehmet Resat V accepted the king of Bulgaria and Serbia here. 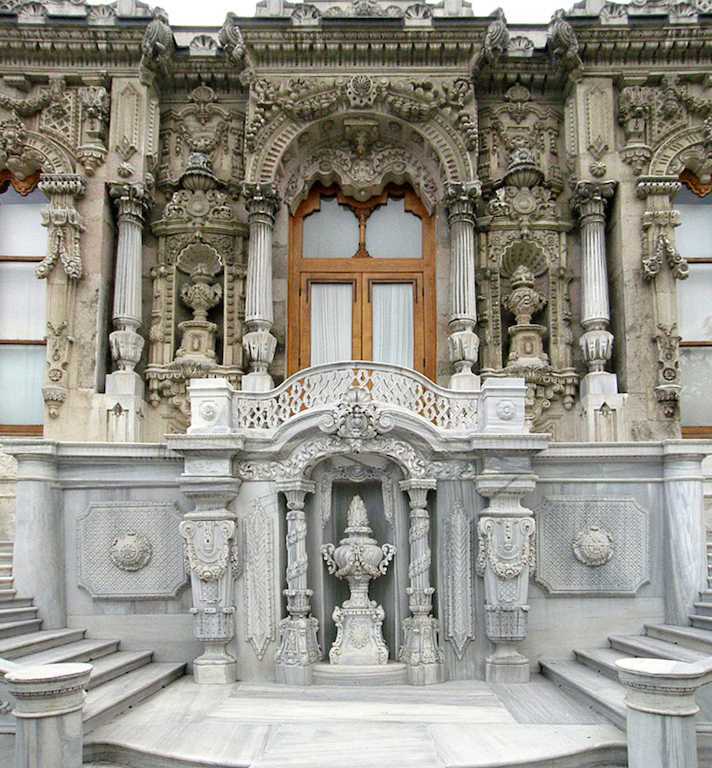 Afterwards, that elite construction was demolished by the order of Sultan Abdulmecid. 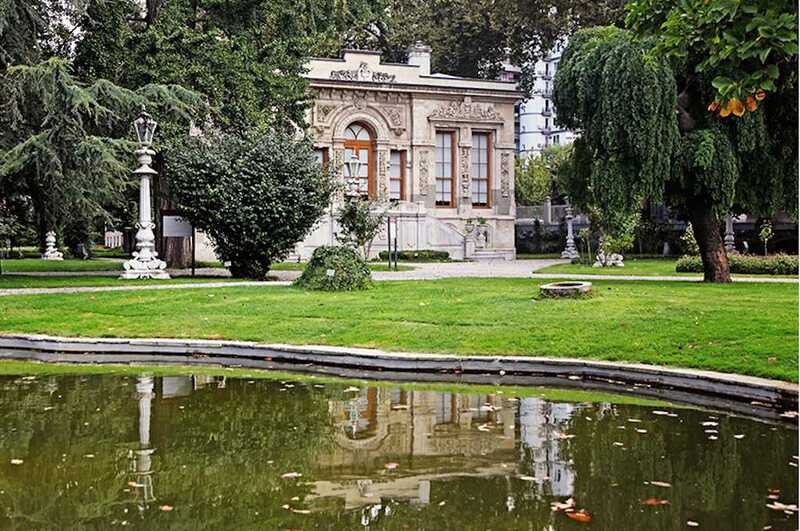 Instead of it, he built two kind of mansions located on Ihlamur Promade also called as Nüzhetiye Pavilion.Their names the Maiyet and Merasim Kiosk. The Maiyet Kiosk, the simpler of the two, was used by the sultan’s family members and entourage, and today, it serves as a beautiful cafeteria. 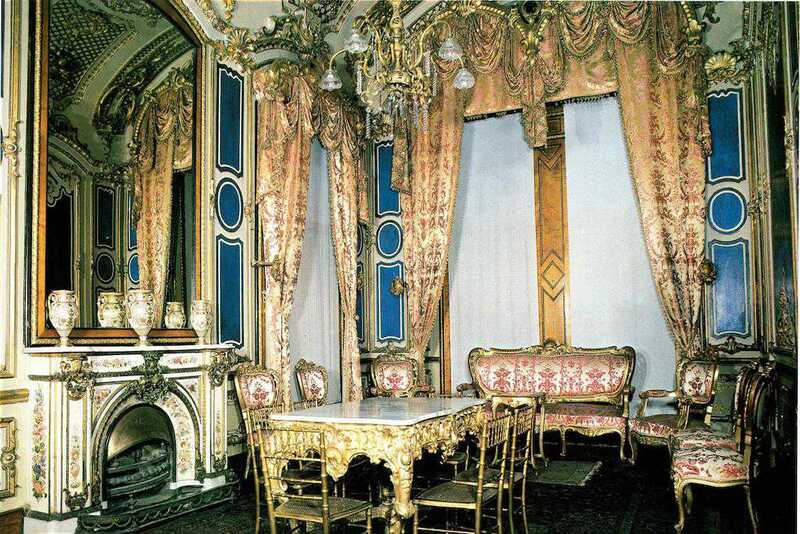 It is known that the mansion was especially visited by women while Merasim Kios was worked for ceremonies. 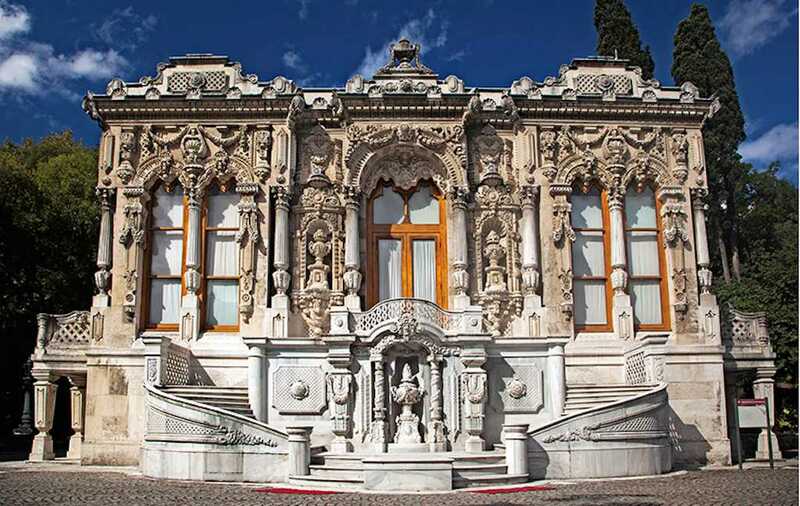 The Merasim Kiosk was furnished with Baroque style carvings. The ceiling of the kiosk is covered with landscape pictures. The porcelain ornaments decorating the fireplace are productions of Yıdız Oven. 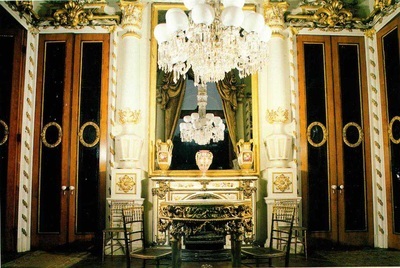 The kiosk is ornamented with crystal chandeliers, European-style furniture, Hereke carpets, and decorated vases. Surrogated three pools, one water gage, a well, illumination materials and valuable tree, those kiosks cover approximately area of 27.722 m2. 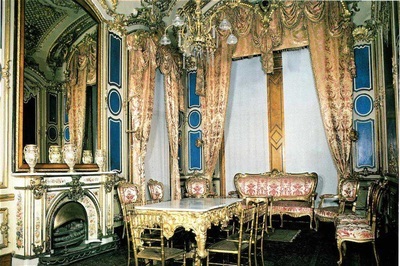 In addition, they consist of buildings with two-storeyed, rectangle planned, a saloon and rooms reflecting the grace and wealth. Today that pavilion was given to TBMM (Turkish Grand National Assembly) in 1924 in accordance with the law no.431. 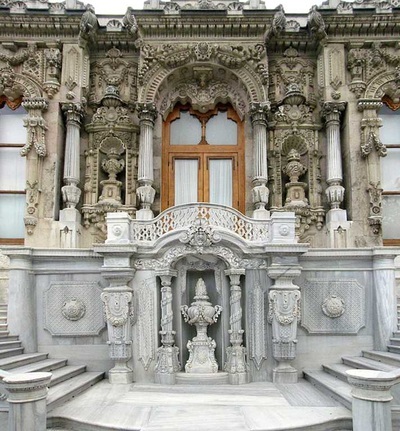 But then, it was assigned by Istanbul Metropolitan Municipality in 1951. After the renovations, it was open to public in 1952; the name of Merasim Pavilion was changed as Kiosk Historic Museum while the other as Tanzimat Museum. But after again allocated to TBMM, that charming museum was used as child art performance field.